If you grew up with a sister, it is more than likely that you identified with either Elsa or Anna when the movie Frozen was released. It was my go-to movie when it first came out and honestly, I have lost track of how many times I have seen this movie. 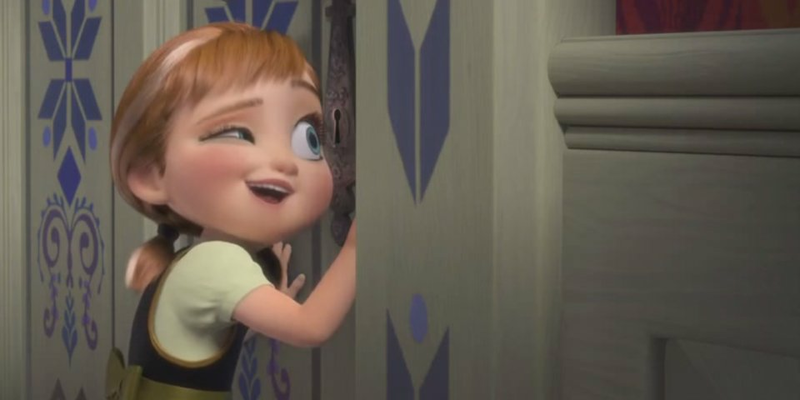 Frozen continues to give me the feels and because I have grown up with a sister, I could identify the relationship shared between the two. 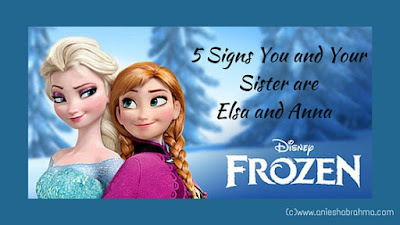 Here are 5 signs why you are Elsa (if you're the elder one) and why you might be Anna (if you're the younger one)...and why the relationship shared between you and your sister is very Frozen. 1. When you were kids, you constantly asked her to play but she didn’t listen to you. My sister and I have an age difference of nearly six years. Therefore, whatever games I was playing as a child did not really interest her. But things got better when we grew up. Our interests became similar, just like in Frozen. 2.She shares your love for chocolates. While I am always at the receiving end of lectures that involve how chocolates will make me bloat, my sister enjoys eating chocolates just as much as I do. 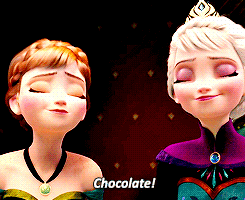 Remember the scene where Anna and Elsa realize the "wonderful smell" is chocolate? 3. She tells you like it is. I had burst out laughing when I saw this scene for the first time. It's more of the facial expression, with her eyes closed that made me remember my sister. I remember messaging her, "You're such an Elsa!" I love how elder sisters love telling you like it is....just like Elsa. 4. You’ll both do anything to protect each other. Despite everything, you're always there for each other and would do anything to protect one another. 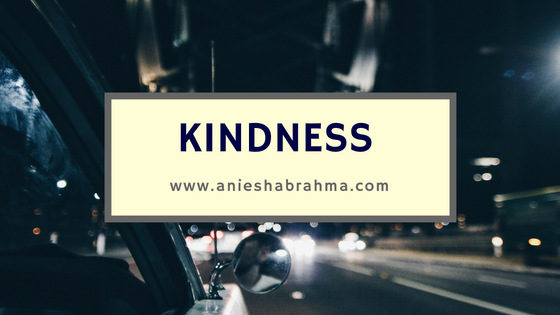 While I would love to pretend I don't care that much, truth is - as a sister, it becomes your second nature to protect your sister - no matter what the stakes might be. We have our fights, yes, but we love each other. 5. And while you’re the little Princess of the family (if you're the younger one), she’s the Queen (if she's the older one). Elsa is the only Princess in Disney history who became a Queen without getting married. 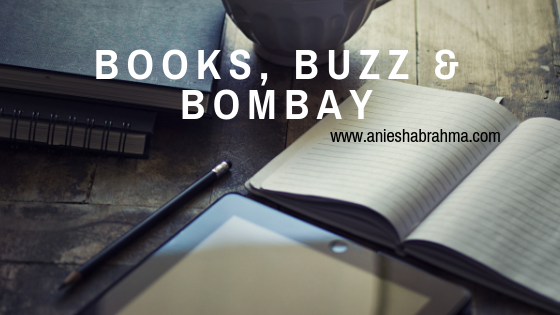 And that's one of the many reasons that elder sisters love to identify with her. But remember, you're a Princess and the last time I checked, Princesses can be pretty awesome too! Disclaimer: All pictures are screenshots taken from Disney's movie, Frozen (2013). I do not own these pictures...well, except for the blog title slide that I made. But the picture is from Disney. Please continue bringing out such wonderful movies every year. Send this to buzzfeed or scoopwhoop.